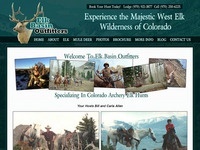 All of our hunts are by horseback only, these hunts are in a rugged area of Colorado . All efforts will be made to adjust, for hunters needs. We will be in high quality wall tents, you will be camping every day around the wilderness in the National Forest. All no trace camping methods will be practiced by all hunters. All camping equipment will be provided. Fully guided hunts we will provide all food and drink needed, we will pack hunters in on horse with a 65lb. limit for gear, We will do our best to accomodate special needs, but not guaranteed. Semi-guided hunts will be guided for 1/2 day, the balance will be spent at the camp, scouting or self hunting. A 65lb. limit for gear. Drop camps will be complete for all your camping needs, including water. No food provided. A 65lb. limit for gear. 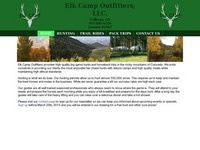 Mountain View Adventures provides the resources necessary for quality elk, deer, or bear hunting. In Colorado there are three types of hunters - those that hire an outfitter, those that hunt on their own, and those that use a drop-camp style hunt. No Horses: Unlike typical drop-camp style hunting, you will not ride horses into camping areas. You can drive your vehicle right into the cabin area and unload your gear at your front door. Accommodations: You'll be in cabins, not tents. Showers and restrooms are adjoining the cabins. All meals will be prepared for you (breakfast, sack lunch, and dinner). The property includes a dining hall and a social area for evening relaxation, plus a walk-in cooler where you can hang your harvested animal at a controlled temperature. Hunting Transportation: You can hunt out of your own 4-wheel drive or bring your ATV; you can use either or you can hunt by foot depending on your hunting preference. Hunting Area Accessibility: 350,000 acres of BLM land are adjacent to the property for your use. Some of the hunting areas are right outside the back door; others are a short drive away on an ATV or 4-wheel drive vehicle. Our Knowledge of the Habitat: We've been in the area for more than 25 years so we can advise you about the best hunting areas and hunting in different weather conditions to increase the chance of a successful hunt. Location, Location, Location: Location is important when choosing a place to hunt because elk and deer are migratory animals. If your drop camp is in the wrong area with the wrong weather (too hot, too much snow, etc.) your success rate will be lower. Our area has access to both summer and winter ranges and in fact we are located right in the middle of a major elk and deer migration route. We look forward to providing you with an exceptional hunting experience at a fair price. We are extremely confident that you will have a great time with us. 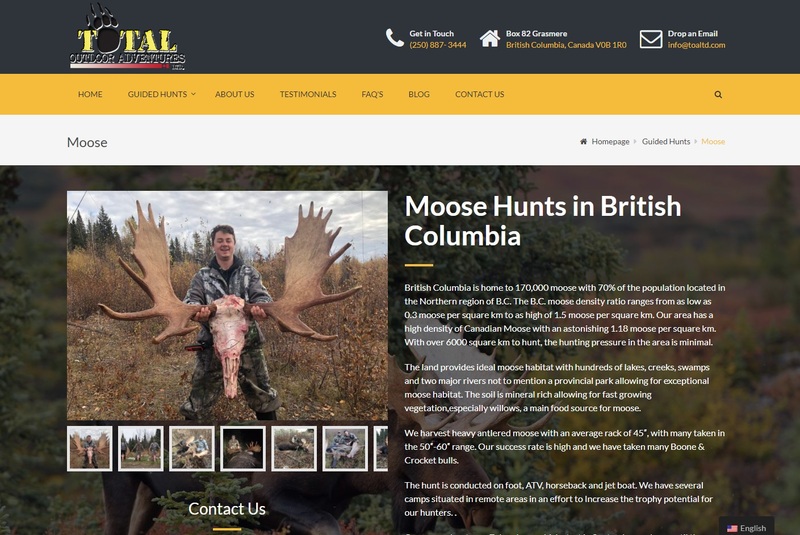 Providing the discriminating sportsman with the very finest in Western big game hunting. Customized trips range from fully guided premium trophy hunts, to drop camp hunts in Colorado for the do-it-yourself hunters. 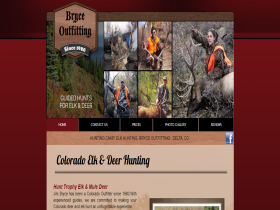 We have guaranteed trophy tags, limited entry draw units and over the counter Colorado hunts. We offer hunts for almost any animal you can think of in the Western United States including mule deer, elk, bear, antelope, oryx, bison, lion, ibex and sheep. Allow us to customize a package to fit your dreams. Our office is located in the northwestern corner of New Mexico just south of Durango, Colorado. This location allows for easy access to the exceptional guided hunting in New Mexico, Arizona, Utah, Nevada and Colorado. We guide in these areas full time for this single reason, we feel that they offer the very best opportunity for us to put together an exceptional hunting experience for our guests. 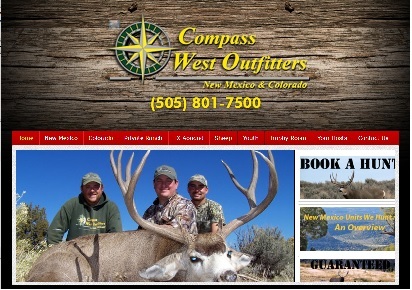 Our New Mexico guided deer and elk hunts are offered in only the finest trophy producing areas of the state. We specialize in guided hunting trips for the monster mule deer and bull elk of our home state including guided hunting for mule deer in unit 2A, unit 2B, unit 2C and unit 7 for trophy bucks and chasing the monster bulls of the Gilas renowned units offering guided elk hunts in unit 16A, unit 16C, unit 34, unit 36, unit 37, unit 17 and unit 13 as well as all the other trophy producing units. 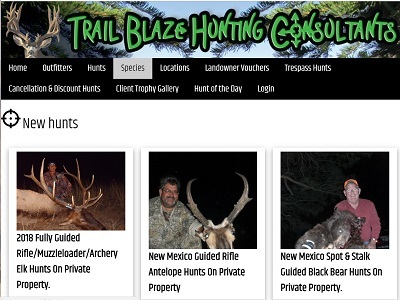 We offer incredible trophy hunting in limited draw units of Utah, Arizona and Nevada. We hunt only the premium trophy producing units and we specialize in guaranteed tags for Nevada and Utah but also work closely with clients to assist in gaining the preference points needed to draw the very best areas. My Colorado area offers over-the-counter bow licenses for bull elk as well as second and third rifle season over-the-counter bull tags and combo hunts for mule deer and bear at the same time you are hunting elk. We also have a special opportunity to offer spot and stalk hunts for free range oryx here in New Mexico on top of all the other great guided hunt we have to offer. We have on foot glass and stalk hunting for monster bruins in Colorado where the use of dogs is not allowed. We offer the most diverse hunting terrain in all of Alberta for big game hunts. 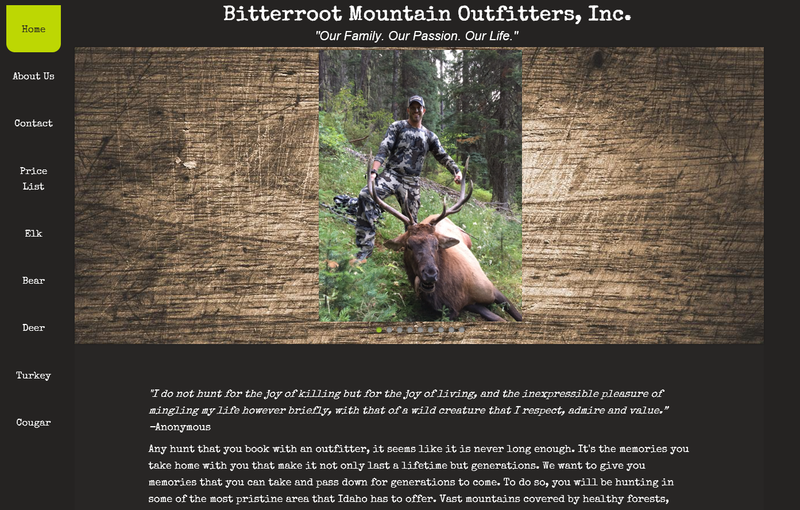 No other Outfitter is able to customize your hunt as much as THA. We are able to plan your hunt specific to the game you are after. Instead of hunting out of a single hunting area, we move the accommodation to where the animals are. This is a proven method in harvesting trophy animals. Trophy Hunters Alberta has the best track record with five APOS awards for our hunter achievements. 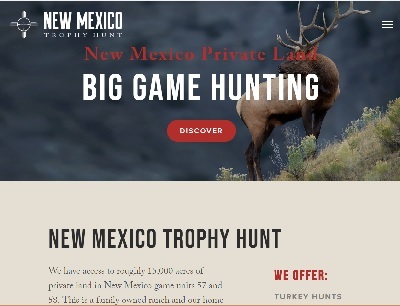 The PICK Private Big Game Hunting Ranch is located in the Northeast corner of New Mexico, just 20 miles from Colorado, 35 miles from Oklahoma and 50 miles from Texas. Beautiful, mixed terrain supports many types of wildlife. We offer all-inclusive guided hunts for many animals. From the majestic and powerful Bull Elk to the elusive, deadly Mountain Lion; the cunning Merriam Turkey to the speedy Pronghorn Antelope; we surely have a hunt to suit you. We hunt approximately 30,000 private acres, spanning two thousand feet in elevation and set in some of the most unique and scenic land in the west. On the north side of the ranch irrigated alfalfa fields meet the Dry Cimarron River and rise over one thousand feet up forested and rocky canyons to the high prairie grass. From there you can see into the surrounding states on a clear day, or continue up another thousand feet to the tops of extinct volcanic formations. Gaze into the distance at Capulin Volcano National Monument and Sierra Grande Mountain, the largest single base mountain in the country. This area is home to history of tribal people, conquistadors, homesteaders and outlaws. Buffalo roamed, treasures were hidden and the wild west unfolded. Please come and visit us in this beautiful corner of the Land Of Enchantment.